So I am looking for a new watch and activity tracker and had my heart set on a Garmin Fenix 5X Plus however I have seen some pretty negative reviews and comments on their forum page with regard to tracking and such. This has been way to hard and taken too long for me to select and buy as compared to any weapon or gear selection. Unfortunately, in today retail market place going to a store to find a subject matter expert in something like this doesn't appear to exist. Oh the good old days of a retailer who actually stocked product and new what they were selling. Yup I am older and old school to go along with the age. I know we have a pretty strong group here with a lot of watch knowledge as well as a fitness community that I hope can help. Some smart phone ability like notifications, does not have to have every thing on it a phone does. That's about it and I am sure I will learn a little more from this post. I dont believe that I am looking for an Apple watch. Guess I question the durability and I do not have an apple phone nor do I really want to go down that path. Probably would if that is truly the best option. Thoughts please on those with experience on owning the Garmin and or use with others. I have the Garmin 5x, I think the plus is the latest version but they are almost similar. I have a love hate relationship with it. I love the way it looks and the watch faces have a lot more customization than the Sunnto's. The battery life if pretty good and I can get a week easy if I'm not using GPS. I'm not sure if you have Android or iOS but the android app is garbage and you lose connection with the watch all the time. Just when you think it's stable app developers update it and break something. The full color maps are a bit overkill IMO with a small screen it might be too much data. The altimeter seems to be off, often times I need to recalibrate but that's not a deal breaker. I haven't looked for a ballistic calculator so I don't know if there's one available. 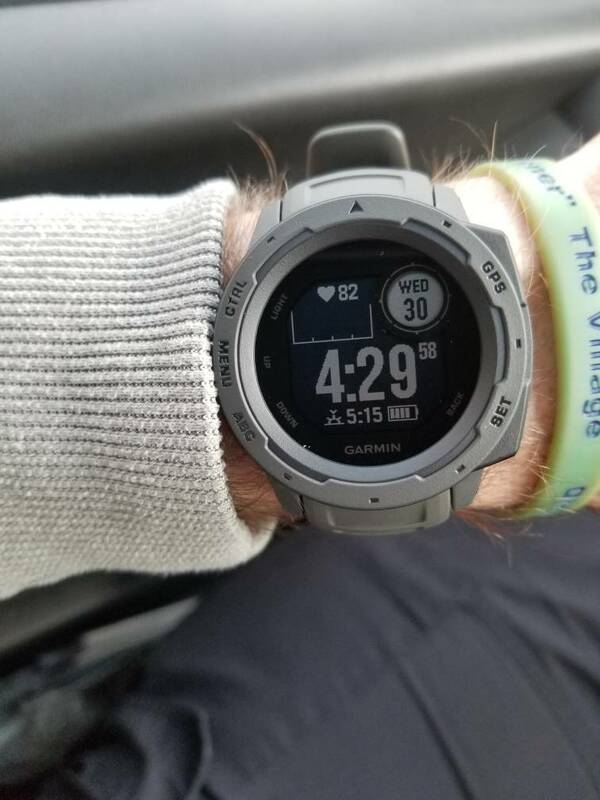 Support is ok, as I'm writing this I need to send mine back for a replacement, the screen is going out, Garmin seems to be aware of the problem and even thought it's just over the 1 year warranty period they are taking care of it. FYI They do have a ballistic app. Not sure how it works. Thanks for that! I need to add that to my lowly Phoenix 5. OP: I like my Phoenix 5. I looked at the 5X and decided the topo maps were cool on paper but in the store I didn't think it would be very useful. The sales person said he heard several complaints about the mapping feature so I skipped. Maybe the topo maps would be easier to view if there is some sharing with a phone, but the sales rep didn't know anything about that. I don't mind the iOS app. Only minor gripe is the Bluetooth interface can be slow to connect, and it sometimes is easier to quit the app, cycle BT off/on, and try again. This is less than 20% of the time.It tracks everything I want, but I do think there are some accuracy issues with the sleep tracker. For I example, I know I didn't get 11+ hrs of sleep. When I'm sitting quietly my heart rate drops <60, so I think the device logs that as sleep. I haven't tried navigating in the field, and I'd use a compass anyway, but when I review my MTB routes the tracking provides maps that are decent enough for me to repeat good trails. I bought the fitness pack, which came with the chest strap. I plan to start swimming again and I feel the chest strap is a better HRM than the wrist scan. The strap is also good for those times when I'm working out and really kinetic-jumps, kettlebells, etc. It's also good for those times I'm charging the device but want HRM functions, like warming up before a long bike ride. Initially I was unable to access the watch faces and widgets for download. I could get to the store but there was some error code when I tried to download files. It resolved a few weeks later and I have several watch faces available now. I loved my Suunto for the month that it worked. Then it just got buggy and unreliable. IMO the Garmin is a better device in function and build quality. Thanks so far guys for the great info. Damn I really like the look of this watch as pointed out by omegajb but you guys keep bringing up problems for the money that should not be an issue. Don't get me wrong, the 5X is one of the best semi-smart watches I've seen. I don't think I would spend the extra $300 on the 5X plus. Garmin support has been great. I sent my watch back on Monday, they got it on Tursday and they shipped a replacement out the same day. Another pro is you can swap out watch bands in seconds, Amazon has a ton of them for around $13 and they pop on and off securely without tools. One more con is on a computer you need to use their Base Camp program if you want to build custom routes whereas with the Suunto their's are web based. The best reviews are from DC Rainmaker, he focuses more on running but you can get the picture on whether or not the watches are good or plauge with issues. I'm on my phone, so I can't get into a comprehensive evaluation, but if you are just looking for a solid activity tracker, with all of the GPS features, you may give the Garmin Instinct a look. After owning two different full blown smart watches, and several different activity trackers, the Instinct is far and away THE best watch I've owned. One downside is that it doesn't connect to the Garmin app store, but two huge up sides are battery life (14 days in smart watch mode) and weight on the wrist. Battery life comes with a trade off, which is monochrome display, but I'll take battery life (especially in the field) over a pretty display any day. See if you can find a Fenix 3HR. I bought Fenix 3HR refurb from Amazon a year ago and have been thrilled with it. It has the sapphire glass like the Fenix 5X does. Activity tracking has been good for my running/walking etc. Haven't used it for anything else. Super durable. I've banged it into door frames and all kinds of stuff and it looks brand new. The door frames not so much. I think you can find them on Amazon for about $300.